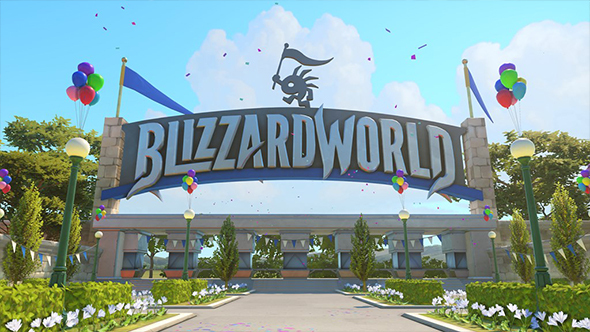 Update, January 16: Blizzard World will open for business next week, on January 23. Blizzard World, the next map coming to Overwatch, will be available from January 23. Here’s how to get two free Overwatch League skins. Blizzard tweeted last night to confirm that the new map and new Blizzard World skins, which include Young Reinhardt and Ecopoint Mei, would go live next week. The link in that tweet leads to the Blizzard press centre, where you can download and print off your very own ticket to Blizzard World. Sadly, that seems to have confused a few players, who are asking whether or not the virtual theme park is a real place, or even lamenting the fact they live too far away to visit.